1. In an attempt to bring a little class to the concept of portable wine, James Nash presents the Single Serving Wine Glass. 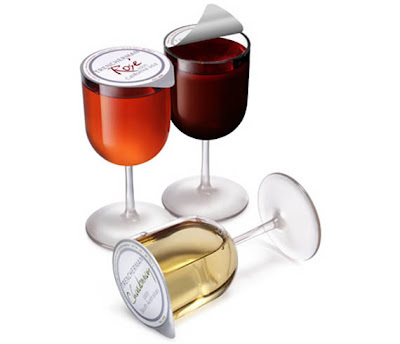 Still perfect for picnics and wild parties, each sealed disposable wine glass comes filled with six ounces of red, white or rosé that look good enough to drink at a fancy dinner party. 2. 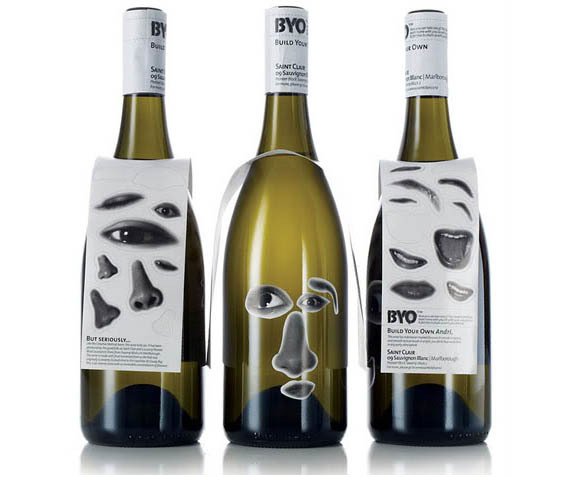 BYO Wine, as in build your own, included labels with facial features based on one staff member. The idea was to mix and match to build crazy faces (to laugh at while getting crazy drunk). 3. Hello Kitty Wines consist of a red wine called Devil, a white called Angel and two spumantes—a Brute Rose and a demi-sec sweet pink sparkling wine. Each bottle features the incredibly cute Ms. Kitty with sugary sweet pink labels. 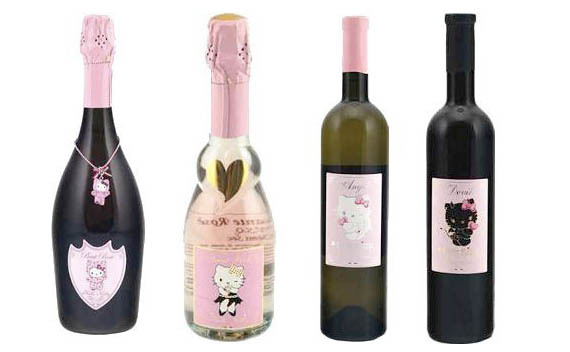 Hello Kitty Wines will be available for sale starting in May and are rumored to cost between $20 and $30 each. 4. 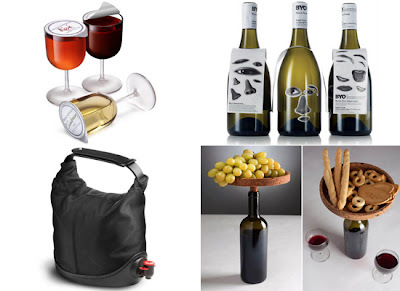 Wine in a box is convenient, but it’s not winning any extra points for style. 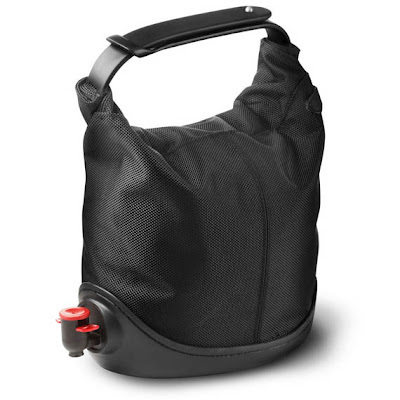 Give your bag in box wine a cool makeover with the Baggy Winecoat. Perfect for alfresco or picnics, it has a strong handle and a no-spill design. 5. 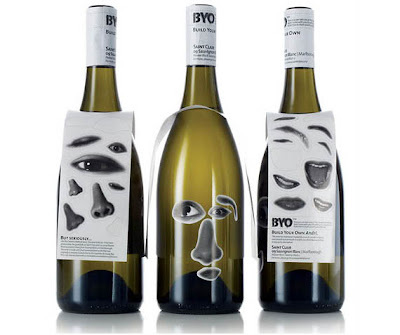 Some wine bottles looks so pretty it seems a shame to toss them once they’re empty, but Milan designer Carlo Trevisani gives you a perfectly good excuse to keep them. 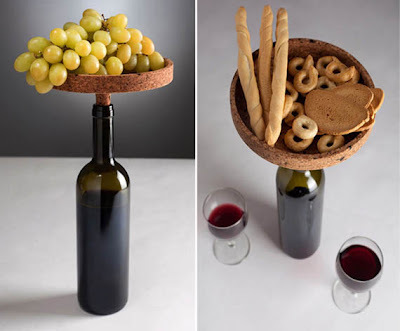 Appo, a cork platter turns an empty bottle into a unique centerpiece that’s perfect for holding fruit, flowers or bread.